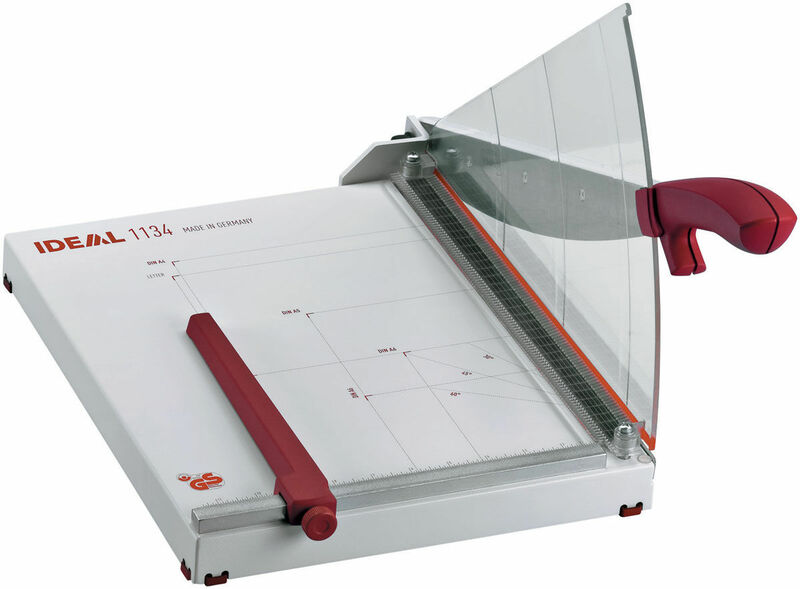 Large cutting table guillotine with a solid all metal construction with a re-sharpenable high quality blade and strong blade mounting bracket. 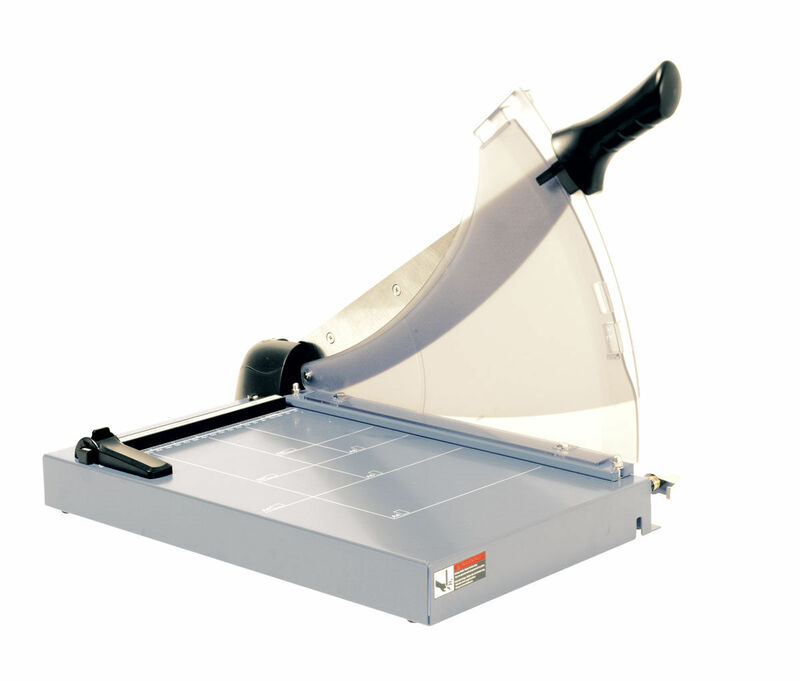 Attractively priced heavy duty guillotine with numerous safety features for cutting up to 20mm paper stacks. Designed for high volume situations. 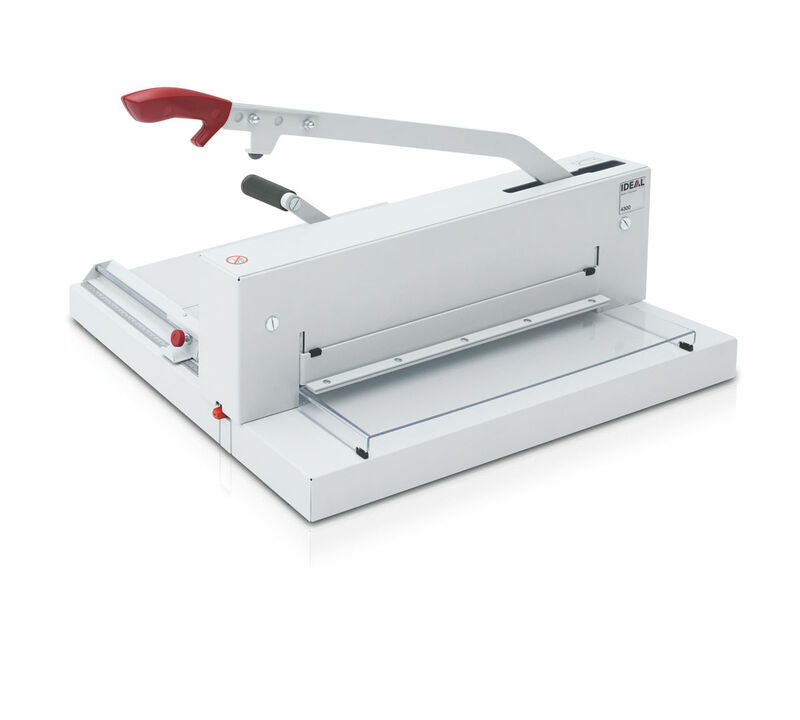 Innovative cutting action allows for 40 sheets to be effortless cut. Blade and bar sets for use with various IDEAL desktop guillotines.